Farmer-trustees of 11 cooperatives, which were recipients of shared service facility (SSF) from the Department of Trade and Industry (DTI), recently met in a general assembly at the Philippine Carabao Center (PCC) national headquarter and gene pool in Munoz, Nueva Ecija to discuss various matters related to the said facility. The SSF are milking machines for use by the PCC-assisted dairy co-ops in Nueva Ecija, which is the agency’s National Impact Zone (NIZ) under the Carabao Development Program (CDP). 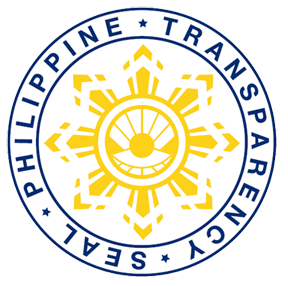 The SSF grantees are the Nag-iisang Masikap Primary Multi-Purpose Cooperative (PMPC), Pulong Buli PMPC, Bagong Pag-asa sa Bagong Talavera PMPC, Casile Dairy PMPC, Simula ng Panibagong Bukas MPC, Ayos Lomboy Dairy Cooperative, Buklod Producers Cooperative, KAPAGENA, Kabulihan Producers Cooperative, Dimasalang Sur Credit Cooperative, and San Vicente Dairy Producers Cooperative. According to Dr. Peregrino G. Duran, team leader of the PCC dairy herd improvement-enterprise development program, the maximum utilization of milking machine is highly recommended to keep it in good working condition. He also pointed out that only the province of Nueva Ecija received the most number of milking machines under DTI’s SSF scheme. During the assembly, which was held on July 30, issues on the status of the milking machines that are either not functioning well or not fully utilized were thoroughly discussed. Engr. 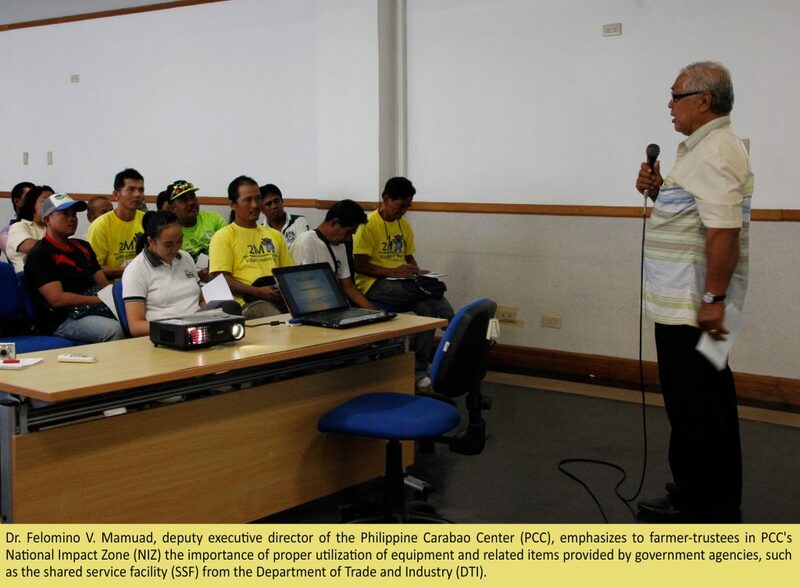 Eladio N. Duran, DTI small and medium enterprise development division chief, encouraged the farmer-trustees to work together to address these problems. He also suggested that any farmer-cooperator who wants to borrow unutilized units can submit a letter-request to DTI to avail of the equipment. “You need to utilize the milking machine otherwise it will become rusty and eventually unserviceable. It is also significant for all of you to know the importance of regular milking of the animals to prevent mastitis and to boost its milk production potential,” Dr. Felomino V. Mamuad, PCC deputy executive director, reminded the farmer-trustees. One of the farmer-beneficiaries shared his strategy for his animal to be accustomed to machine milking. “Para masanay ‘yong kalabaw ko sa milking machine, ang ginagawa ko ay pinapaandar ko lang ‘yong milking machine, hinahayaan ko siyang masanay sa tunog habang manu-mano kong ginagatasan ‘yong kalabaw. Pagkaraan ng isang linggo, nasanay na ‘yong kalabaw sa tunog at naging madali na ang paggamit nito (For my carabao to be accustomed to milking machine, I just let it hear the sound of milking machine while I am manually milking it. After one week, my carabao is already used to the sound and it becomes efficient to use),” Arnold Cunanan, member of Simula ng Panibagong Bukas MPC, narrated. Earlier, the farmer-trustees were provided basic know-how on the repair of the milking machine in a demo-training on May 26 with Engr. Benjamin De Guzman of the National Dairy Authority as resource person. He did an actual presentation on the proper maintenance of the milking machine, how to prevent it from being broken, and how to do the repair works. A total of 47 participants attended the July 30 assembly. Aside from the farmer-trustees, staff members from the PCC and DTI also participated in the activity.